No freaking way was it a year ago today that I started my blog. That has well and truly flown by which frightens me a fair bit to be honest. 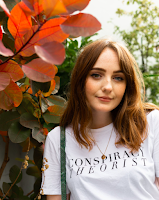 So today I thought I'd do a cheesy look back at my first (of many) year of blogging, including my personal favourite posts and some amazing projects. I'd also just like to say a massive thank you to each and every one of you, whether you've been reading my blog from the beginning (remember those tiny, over-exposed pictures?) or this is your first visit. The fact is you're here reading this and that really means a lot to me. So keep following, liking, RTing and reblogging and let's make this another fab year. You guys rock my frilly ankle socks.